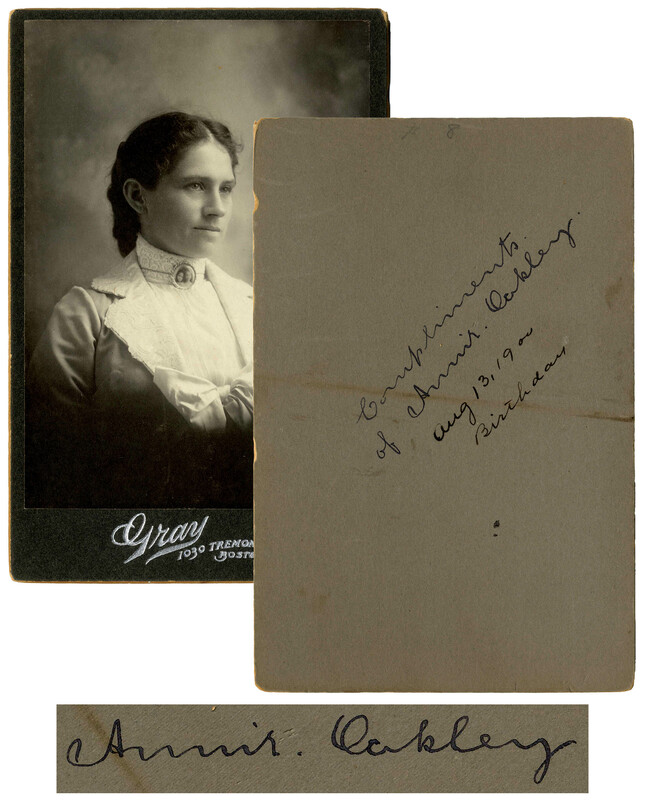 Beautiful cabinet card signed by ''Miss Sure Shot'' Annie Oakley, who, by the age of 15 was beating adult men in shooting contests across the Midwest. 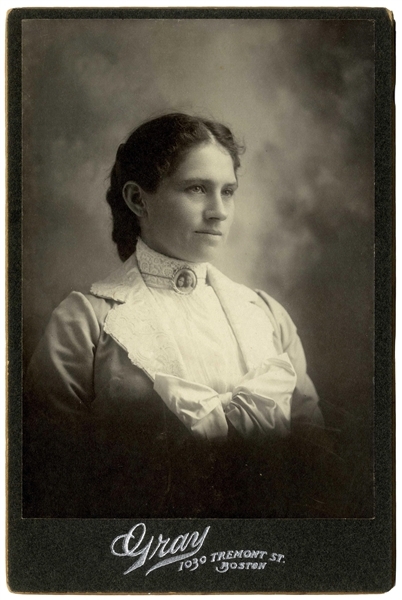 Beautiful matte image mounted to a cabinet card measures 4.25'' x 6'', with photographer's embossing of ''Gray / 1030 Tremont St. / Boston'' at bottom. 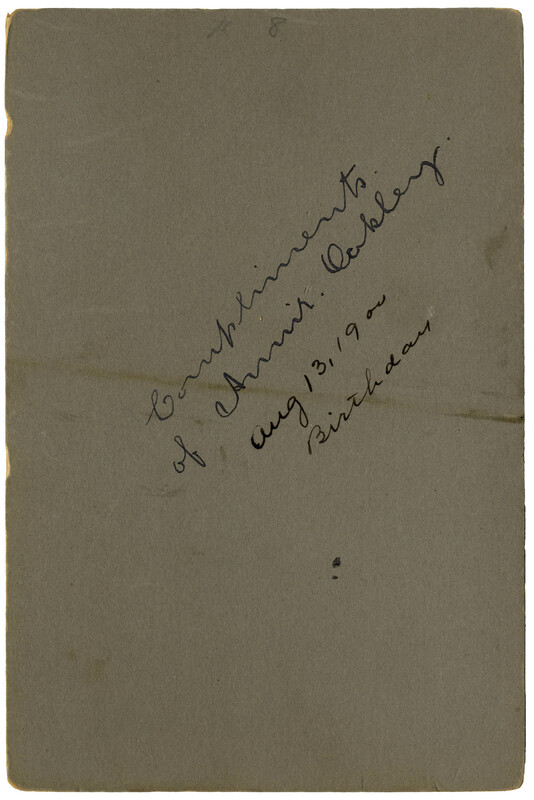 Signed on the verso, ''Compliments of Annie Oakley. Aug 13, 19 on Birthday''. On that day, Oakley turned 59 years old. Light wear to edges and light toning to verso, overall very good to near fine condition.